You hear recommendations for Barbara Tuchman so often that eventually you are compelled to see for yourself. It’s true that she had the uncanny skill of keeping the narrative moving while packing in the facts and remaining objective. 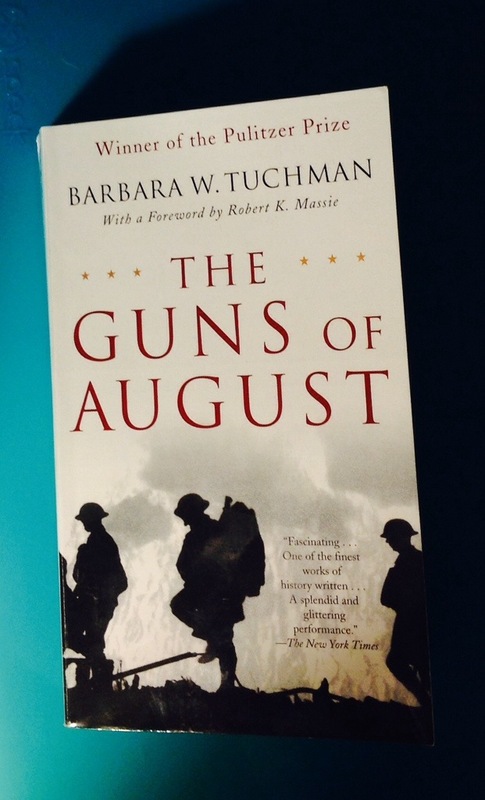 It is based on ‘The Guns of August’ that I will compare all others. May I use a metaphor yo do this? I started withe cakes then moved onto buildings. “If ‘The Guns of August’ were a building what kind of building would it be?” I’m thinking along the lines of the US Library of Congress – or is that too obvious, massive and lacking in personality? I don’t know my US buildings well enough – but something from the early 1960s with strength, authority and personality. For Niall Ferguson’s ‘The Pity of War’ I was thinking the Lloyds Building – controversial for the hell of it and purposively including a good deal of void inside – he doesn’t do the chronology of the war or conflict in the shape of a key selection of battles, rather he addresses, like a hit list of ten assignments for the graduate historian, the myths and beliefs of the past. AJPTaylor has to be the National Theatre on the South Bank – big, bold, worthy and bland. A national icon that does it all but lacks personality. I think I’ll make the several anthologies of veteran stories of Lyn Macdonald akin to a chain of supermarkets such as Sainsbury’s. So what about Christopher Clarke and Max Hadtings? I’ll make Christopher Clark a Cambridge University building of his choice, he is by far the most searchingly academic of everything I have read of late. Max Hastings I thought either Tower Records or the old London Weekend Television buildings. I don’t find what he has to say either original or insightful, but it is currently getting plenty of attention. Jeremy Paxman is of the same ilk – as an undergraduate being told your writing is ‘journalistic’ is a criticism. I prefer my history to come from historians. By Jonathan Vernon in voice on November 3, 2013 .